Born of the world’s leading manufacturer of prestige beauty products, transforming how people look and feel. 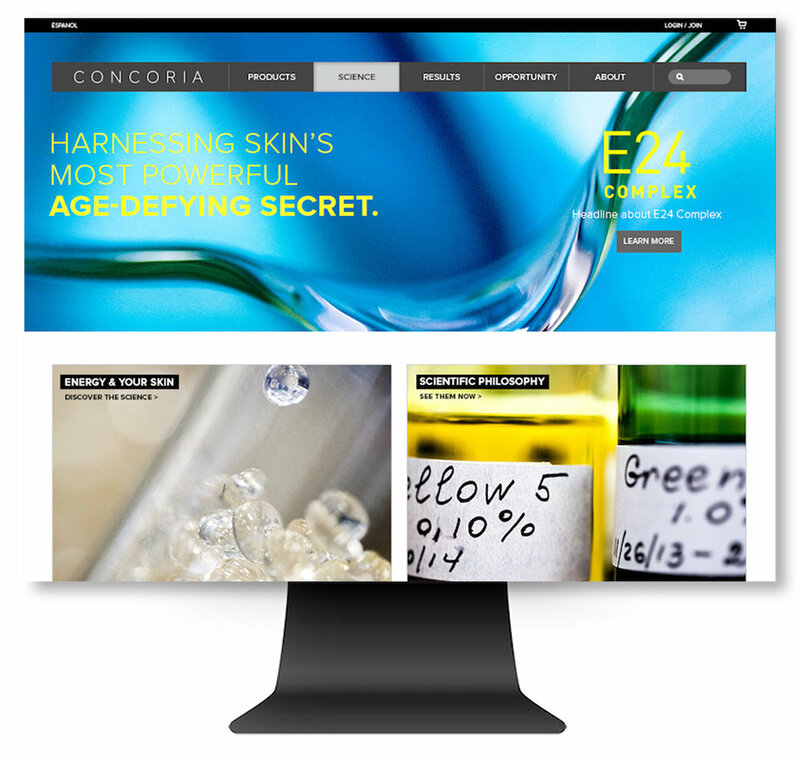 Concoria was conceived with a lofty objective: to give every individual the power to make their life more beautiful. We set forth to create one of the most rewarding compensation plans — offering unlimited earning opportunity, exciting incentives, and profit sharing bonuses. We’ve also built an unprecedented community-based structure that enables, empowers and inspires personal success. The science of nature, with a little help from decades in skincare experience. Brand Strategy & Identity, Photography Capture & Post, Collateral, Marketing. Skin meets energy. Junetics was founded in the bold pursuit of ageless skin, and on the radical discovery that all visible aging has a single underlying cause: energy + communication. 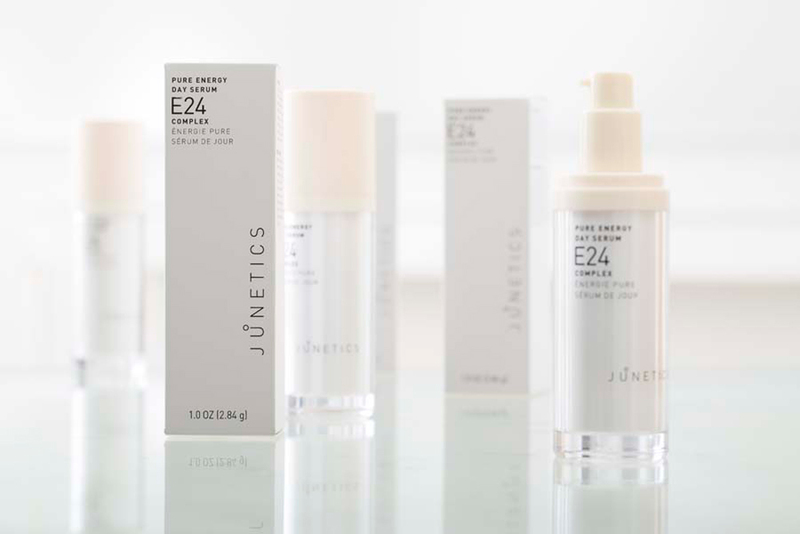 Junetics 24-hour proprietary complex works to boost cellular energy, enhancing cell-to-cell communication and activating the body’s own potential to stimulate, refine and strengthen skin. A multi-corrective and continuous approach, Junetics confronts all of the visible signs of aging with one brilliant solution, each day working restoratively and protectively to rediscover your own youthful, radiant, ageless skin.